I have now had my GTC for 3 weeks, and still cannot get the thing to function as advertised, more bugs than a xxxxxxxx. Updated to Android 7.1 it works perfectly seamlessly, a lot less bugs than the GTC is used to, so re brand to MECOOL for less stress and far better support. WARNING I TAKE NO RESPONSIBILITY FOR BRICKED DEVICES, THE LINK ABOVE IS USED AT YOUR OWN RISK. Does the firmware keep the 4k resolution? I don't have a 4k ready tv to test it on. Try it for yourself and please report back to help others. I see the moderators do actually read and know what customers think, this is obvious by the editing and censorship of my posts. If they cant be bothered to provide working firmware then they should not prevent us from helping ourselves and others. I have asked for help on this forum a number of times and these have been ignored, but less than 2 hours after finding a solution for the atrocious coding they release they censor me. This shows the utter contempt they have for their customers. Answer the question WHEN CAN WE EXPECT A FIRMWARE RELEASE THAT WORKS? Hagrid01 wrote: I see the moderators do actually read and know what customers think, this is obvious by the editing and censorship of my posts. GTMedia/ Freesat can not accept the propaganda of others within his own forum. You should know that. Nobody is censoring you. We are just deleting others media brands or links. Breaking the forum rules is what usually take you to censoring or banning. So, I suggest you follow them. Only GTMedia/ Freesat in their headquarters engineering department has the ability to come up with firmware releases. When they do have a solution it will be posted in the download section. You can keep sharing or helping others with others brands solution in private messages but NOT in public. Also, Hello and Welcome!! Hagrid01 wrote: I have now had my GTC for 3 weeks, and still cannot get the thing to function as advertised, more bugs than a xxxxxxxx. Now back to the current topic. If you require the deleted files please request them by PM only, emails will not be answered, nor will requests for advice or instructions. I found the files after many hours of searching the internet, and took the plunge myself to upgrade the box at my own risk, as must you. I offer no support or advice on the upgrade. The reason for posting the links are actually in the posts title, in the 20+ years I have bought and sold from a large number of Chinese suppliers, I have never come across such appalling customer service. I actually bought the GTC as a sample, in the hope it was going to be my next best seller like the 5000+ DM500S I have already sold, I was ready to purchase a further 500pc, thankfully I controlled myself and only purchased the one sample. There is no way (as it sits) am I prepared to sell these to my long term customers or even new customers, it would ruin my reputation and would end up with them all been returned. The box itself is of high quality, it is simply down to coding issues brought about I believe by copy and paste coding, why does HQ not try the firmware I have suggested and see for themselves how flawlessly the GTC can operate with the correct firmware. Another issue I found among many others with V37 was when switching LNB from Horizontal to Vertical (13v-18v) the switch over does not occur, hence only Horizontal TPs and channels appear after a blind scan, if you use automatic scan channels on Vertical have no signal as the LNB is not switching over. So you see the post was not about advertising any other brand, it was about doing something Freesat HQ should be doing, and that is simply getting the box to work as it is advertised to do. An idea may be to rebrand the working firmware to freesat and release it as V38 ? Over the past 24 hours I have helped over 50 members upgrade their firmware, not one member has come back here and posted the results and shared with other members. Yes, I have the same problem. 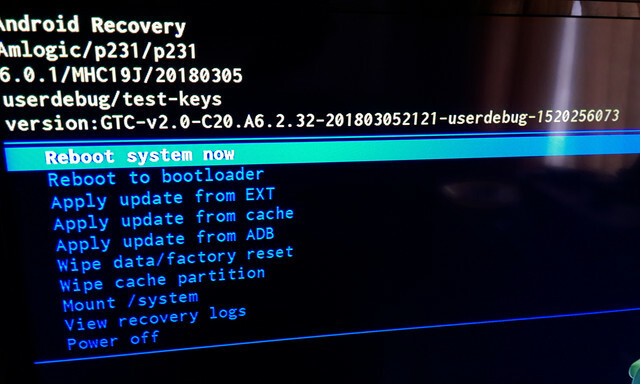 It’s seems you need enter into recovery mode or something like that to USB burning tool recognizes the GTC. 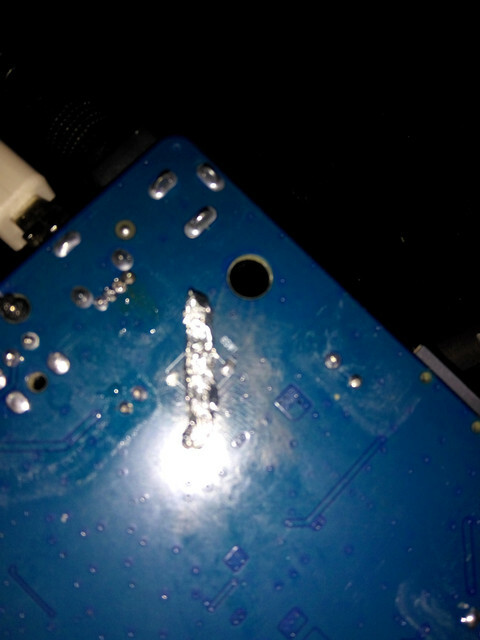 With the last update we lost the root, and problem is you need to be root to access this mode or dismantle the receiver and attach a switch to certain circuit. Last edited by espaun206 on Thu Sep 13, 2018 2:32 am, edited 2 times in total. for USB burning tool to work, you have to short-circuit the two ends, leaving it pressed for several seconds. This may be the first step. Hagrid01 wrote: Updated to Android 7.1 it works perfectly seamlessly, a lot less bugs than the GTC is used to, so re brand to MECOOL for less stress and far better support. how would the process be for it to work and record it?? Once drivers are installed device will be found. 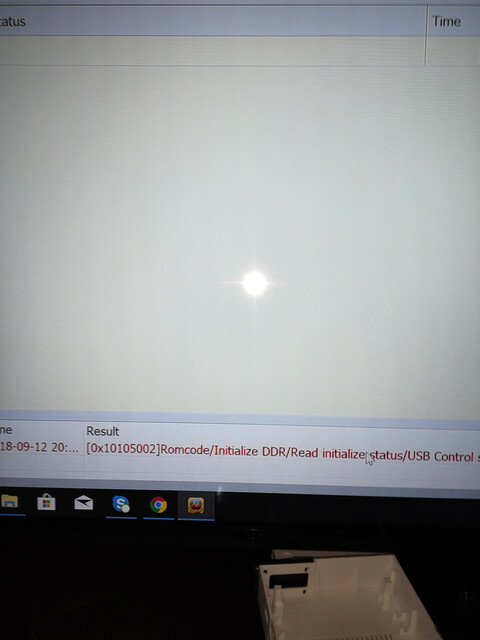 [0x10105002]Romcode/Initialize DDR/Read initialize status/USB Control setup error. Sylar wrote: well ... apparently none update to this supposedly promising firmware version ... now that I have time I'm watching and from the outset I can discard the idea of putting the firmware. from my optics, he's not just a charlatan. He had the bad intention of You have used a BANNED word. our teams. How did you solve the 2% error USB CONTROL? I can’t finish the installation.